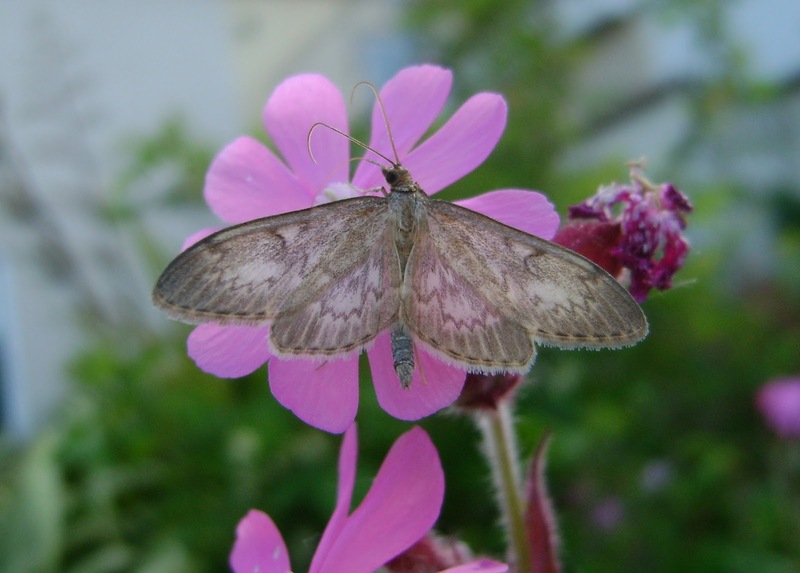 Carmarthenshire Moth and Butterfly Group: Out and about mothing - Saturday 28th May. Out and about mothing - Saturday 28th May. I had a blissful lie-in this morning (though was up at 6.30am) with no moth traps out to inspect, so my batteries ought to be re-charged. 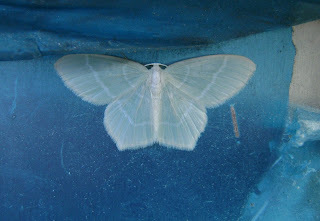 On Saturday evening, I had placed out four actinics at various local sites, as well as an MV in the garden at home. Two `away-from-home` actinics were set up, one at a mixed conifer woodland edge site and the other at a rank, wet rhos site on the Stradey Estate near Llanelli and two actinics (one of which is rather fickle and often fails, but not on Saturday) at allotments at Bryntirion, Llanelli. There were no outstanding captures but some useful records were made. Above: Pretty but pestilential, Rhododendron invades a bog at a former marsh fritillary site at the `entrance field` to Cencoed-uchaf farm on the Stradey Estate. Adjacent drier `rhos` has long succumbed to birch invasion. Spot the actinic light trap. Above: the gelechiid Neofaculta ericetella is frequent on heather and cross-leaved heath at this site - look for it (sweeping, especially at dusk) on your local heather. 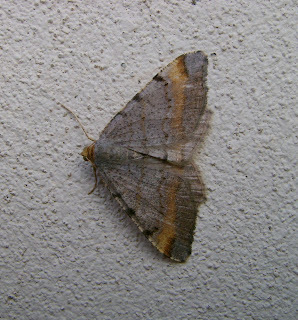 My next trap site was located next to some mixed conifer (and broad-leaved) woodland where my aim was to try to catch some `conifer micros` but again I failed, though I did catch numbers of tawny-barred angles, including one of the form nigrofulvata. The `ordinary` form is shown below. Above: only earlier this week I remarked that I don`t often see little emeralds but here is another, phototographed in situ, within the actinic trap. 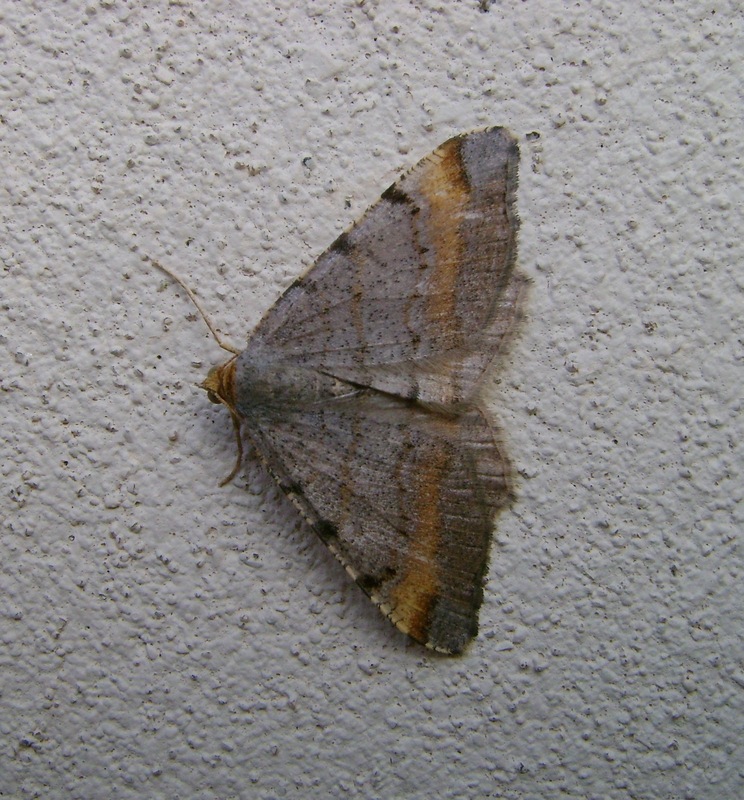 My home trap at Pwll had good numbers and good diversity of moths including some more FFYs. Above: Anania lancealis at Pwll. 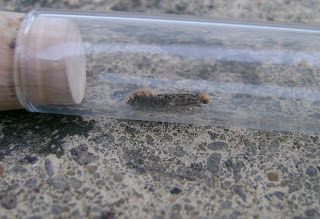 Above: this `skin moth` Monopis laevigella is, I think, new for my garden. 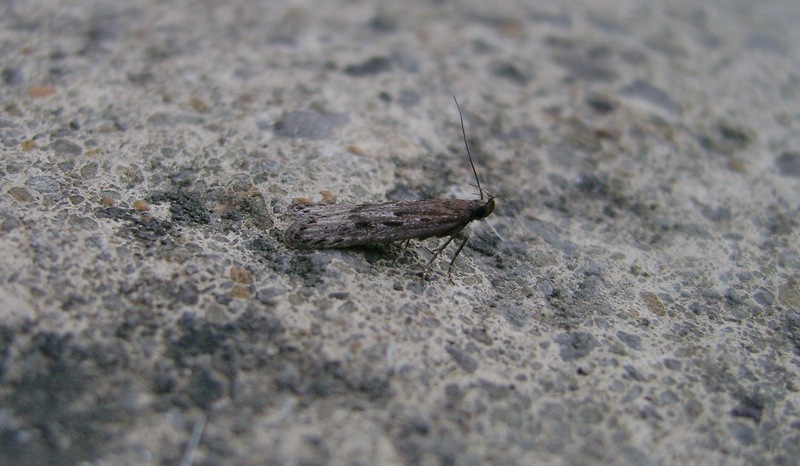 The Bryntirion allotment site also had a fair range of moths, including a FFY heart and club and the tortricid Notocelia cynosbatella (yellow palps checked).